With the costs of data storage systems skyrocketing, and the interest in cost-containment increasing in most organizations, planners are seeking strategies for bending the cost curve in storage. Just as marketing around server virtualization proposed server hypervisors as a consolidation strategy at the server layer of the IT hardware stack, storage hypervisors are beginning to emerge as a potential technology for reigning in storage spending and improving overall storage efficiency. 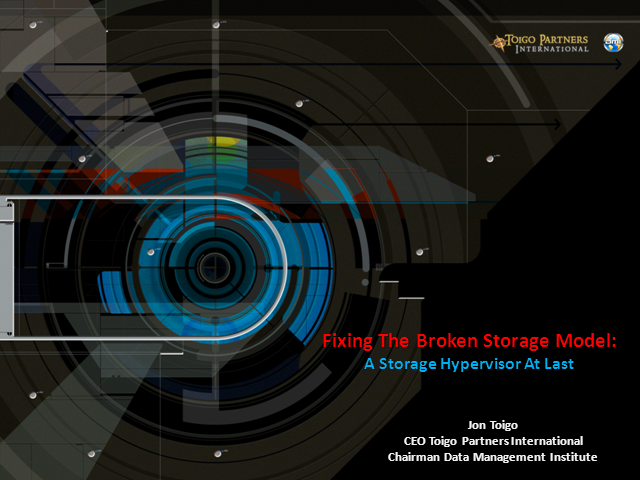 In this session, Jon Toigo, an independent author, columnist, blogger and 30 year IT veteran, will share his insights on storage hypervisors, their capabilities and their promise going forward.